THE man in charge of Scotland’s railways has admitted passengers are fed up with ScotRail’s poor performance. 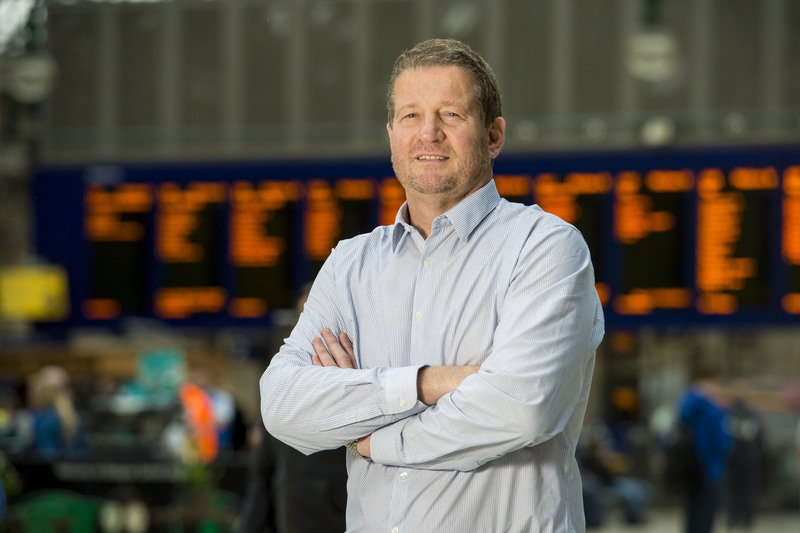 Phil Verster, the firm’s managing director, said he’s facing a “couple of rough months” after SNP ministers ordered him to improve standards amid claims operator Abellio could be stripped of the £7 billion contract to run the country’s railways. Mr Verster pointed to a “very difficult” year with huge engineering works, a string of severe storms and prolonged industrial action which he admitted took bosses’ “time and effort away” from running the railways. But, in an interview with the Sunday Post, the South African rail executive said “we know we must improve” on reliability and punctuality and pledged things will soon get brighter for fed-up commuters. He said: “The next few months will see ScotRail implement a new performance and reliability programme, and this will make a big difference. “I do get it – when I am travelling as a customer I really don’t care about industrial action or engineering works, I just want to get from point A to point B on time and that is perfectly correct. “So we’ve had a very difficult year in that sense and its come together as a bundle of stuff, from storms to engineering works, that has put customers in a place where they can’t have that ease of journey. Last week Transport Scotland said: “Recent performance has not been to the standards we would expect” and Mr Verster said, “we do accept it, we know we must improve”. “We obviously can’t influence winter but we have good winter and autumn preparations, making sure we are doing everything possible to make the railway ready. A series of severe storms wiped out the rail networks for days in the last year, while big engineering works such as the closure of Glasgow’s Queen Street Station also meant big delays for passengers. And until last week’s resolution, a crippling series of strikes over plans for driver-only trains had also severely dented ScotRail’s performance figures. Asked about the strike action, Mr Verster admitted they had taken “management time and effort away from the usual meticulous day job, it was quite significant”. Mr Verster also revealed that the next generation of electric trains will be on Scotland’s railways by the “latter half of September and into October” of next year. The Japanese-built Hitachi Class 385 electric trains will provide more seats by operating with up to eight coaches, compared to the current maximum six. In addition, the tables between four seats will provide enough space for four laptops, unlike the current narrower ones. Latest figures show 89% of ScotRail services arrived within five minutes of their booked arrival time for the four weeks to August 20. Mr Verster countered: “With regard to on time arrival stats, when you look around the UK they will look very similar to ours. Dutch firm Abellio was awarded the ScotRail franchise in 2014 and took over operations in April last year. But the 10-year deal comes with a clause allowing it to be cancelled halfway through and it is has been suggested this could be enacted if performance levels don’t improve. Lib Dem transport spokesman Mike Rumbles said: “This is a statement of the obvious from ScotRail bosses. The fact they recognise that improvements are required is welcome but the proof of the pudding will be taking steps to boost reliability and rebuild relationships with staff.